So, I have to tell you how hard it was to resist the temptation to go down the obvious post title on this one. It was really really hard. But really, cars and airplanes are not strictly the same thing. And, for that matter, neither is the making of cars and the flying of airplanes the same thing either. 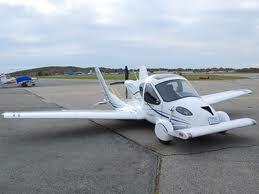 However, companies that make cars and companies that fly airplanes ARE kinda the same. Same in enough ways that they make for useful comparisons. It’s election time; its time to look at what people say they’ll do and what people have done. Much of the focus so far has been on the Republicans. No surprise there, they have a primary and the President doesn’t. So far, the President has been able to stay out of the election games. However, it IS coming up and we are starting to see some of the first messages. And one of them is going to the auto-bailout. An op-ed in today’s Times from Steve Rattner, who served as lead advisor on the 2009 Auto Task Force. He is, however, a Democrat so my conservative friends are free to disagree with every word. I know this because the administration’s auto task force, for which I was the lead adviser, spoke diligently to all conceivable providers of funds, and not one had the slightest interest in financing those companies on any terms. If Mr. Romney disagrees, he should come forward with specific names of willing investors in place of empty rhetoric. I predict that he won’t be able to, because there aren’t any. Without government financing — initiated by President George W. Bush in December 2008 — the two companies would not have been able to pursue Chapter 11 reorganization. Instead they would have been forced to cease production, close their doors and lay off virtually all workers once their coffers ran dry. Those shutdowns would have reverberated through the entire auto sector, causing innumerable suppliers almost immediately to stop operating too. Is this true? Could it be possible that there wasn’t an investor willing to buy the assets of either or both? No. To understand why GM was an obvious candidate for Chapter 11 re-organization (rather than liquidation), it is important to start with the fundamental issue facing any firm filing for bankruptcy — the question of whether it is “economically failed” or simply in “financial distress.” In deciding between the two, one considers whether it would be most efficient to continue to deploy the company’s assets — its financial, physical, and human capital — by re-organizing, or instead to liquidate the company and allow those assets to be redeployed elsewhere in the economy. For example, if a typewriter manufacturer were to file for bankruptcy today, it likely would be considered an economically failed enterprise: The market for typewriters is small and shrinking, and the manufacturer’s financial, physical, and human capital would probably be better used elsewhere (perhaps in making computers). A financially distressed enterprise, on the other hand, is worth more alive than dead: It may have fallen on hard times — the result of mismanagement or an economic downturn, perhaps — but still provides a product or service that is in demand (and so could someday make for a thriving firm). Through the use of Chapter 11, such a company can continue to operate while re-organizing to get out from under its debts. But do we have examples of this in any other large industry? Examples where really bug companies, even sectors, have failed, went through bankruptcy and continued to operate without losses that reverberated throughout the entire sector? Yup. We do know, however, what happened to the airlines that went through bankruptcy. Their planes kept flying, and pilots, mechanics and flight attendants reported to work, even if there were fewer of them. Over the past decade, no industry has had worse breaks than the airlines. They took a huge hit from 9/11. They have been buffeted by fuel prices. The TSA’s intrusive airport screening angered passengers. Furthermore, the airline industry is cyclical; it suffers disproportionately from economic downturns. Compared to the airlines, GM has had a cake walk. Indeed, four major airlines filed for Chapter 11 bankruptcy after 9/11 (US Air and United in 2002; Northwest and Delta in 2005). Each company was restructured by a bankruptcy court according to the rule of law. In each case, creditors took haircuts and employees lost jobs and agreed to concessions in wages and work conditions. Each airline emerged from bankruptcy and continued to operate as a going concern. No airplanes fell from the sky, no passengers were stranded in Kalamazoo and no bailout of the industry was required. Cars are different than planes. But Chapter 11 is Chapter 11 plain and simple. This entry was posted in Economics, Economy, Elections 2012, Government, Politics: National and tagged Auto Bailout, Bankruptcy, Barack Obama, Steve Rattner. Bookmark the permalink. Given the financial collapse of 2008, I think GM needed the government help — and it seems to have worked. The airlines faced much different challenges and domestic demand was never in doubt. Many have failed over the years, and the industry has the ability to absorb that. GM and Chrysler going under — or either one of them — would have been very harmful to Michigan and even the country. Given that it’s worked, I find it really hard to criticize the government on this. Perhaps they’d have survived anyway but perhaps not. Perhaps the people of Michigan would be in really dire straights now compared to where they are with the bailout. Given what was at stake, the government made the right call – sometimes pragmatism has to trump ideology. Many have failed over the years, and the industry has the ability to absorb that. Chrysler failed once before. Delphi failed in 2005, Visteon in 2008. All are still in existence. Delphi and Visteon are the #1 and #2 auto-parts makers in the world. I wonder ow many people in America knew that they both failed in a 4 year period? Perhaps they’d have survived anyway but perhaps not. Perhaps the people of Michigan would be in really dire straights now compared to where they are with the bailout. If GM and Chrysler simply vanished, would the car demand in the world also vanish? The same number of cars would have had to be made. I agree with Scott’s point that sometimes pragmatism has to trump ideology. This was one of those times. make that ‘wish I know’ or, more properly, “wish I could remember’. One person on the panel, David Stockman, thought we should have let the companies fall down and reorganize themselves, but agreed about the lack of willing capital. The price would have had to be low. I would suggest that there was no willing capital that stepped forward under the demands of the government – namely that the union had to remain. So, as you say, those unwilling capitalists weren’t willing to invest capital – no matter the reason, they had no faith. And they were wrong. That’s an interesting contention. I’d have a hard time believing that; I’ll try to dig it up.